Road preservation can be defined as applying the right treatment on the right road at the right time to extend the service life of the structure, keeping good roads in good shape. As leaders in road preservation and innovation, we offer a wide array of services and product applications to help keep critical infrastructure in good operating order. As capital budgets get tighter, it becomes increasingly important to maximize the life span of roadways and other infrastructure. ACP Applied has the engineering expertise and experience to ensure that your overall road safety is maximized and transportation dollars are stretched as far as they can go. We work with all types of roads to extend their useful life. Whether you’re looking at preserving coldmix roads, paved asphalt or primed concrete, ACP Applied can help. 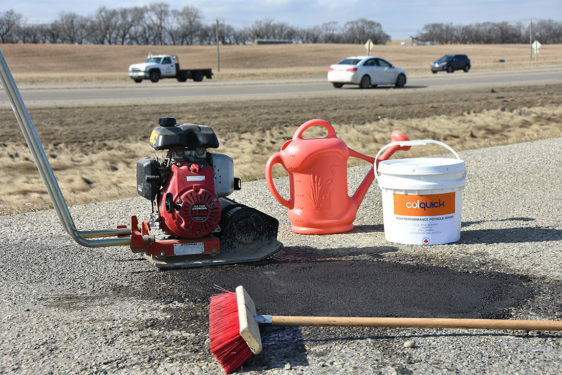 Whether applied to road surfaces, bridge decks, bike trails or pedestrian crossings, ACP Applied offers the specific solutions you need for your pavement preservation. Add our thorough knowledge of proper application methods and extensive engineering experience, and you have a company that is able to finish pavement preservation jobs quickly, thoroughly and without complications.